Our nation is blessed by a rich diversity of private schools -- some rooted in religious traditions, some that provide intensive academic experiences, some that reflect a particular pedagogy, and some that are specialized for specific populations. These diverse schools and strong, often faith-based, communities help fulfill the American ideal of educational pluralism and collectively contribute to the common good. The types of schools linked on this page are associated with CAPE's member organizations, which collectively represent about 80 percent of the private school community nationwide. NCES Private School Locator -- to find private schools in your neighborhood. The Association of Christian Teachers and Schools (ACTS) offers a wealth of benefits to Christian school teachers and administrators. It strives to enlist every Assemblies of God or Pentecostal / Charismatic Christian teacher and school as active members of its Spirit-filled team. The association’s vision is to join with Christian teachers and schools to build Christian leaders for the 21st century who are empowered by the Holy Spirit. ACTS seeks to promote Christ-centered, Bible-based, Holy Spirit-directed solutions to the education challenges facing our world today. The National Catholic Educational Association (NCEA) has been providing leadership and service to Catholic education since 1904. The largest private professional association in the world, its 200,000 members serve over 7.6 million students in preschools, elementary and secondary schools, parish catechetical/religious education programs, diocesan offices, colleges, universities and seminaries. The Department of Education at the U.S. Conference of Catholic Bishops assists the Catholic bishops in their pastoral mission of teaching and promoting catechesis and education as a life-long process of total Catholic education that has, at its heart, evangelization. The department represents the interests of the Church's educational and catechetical ministries with national, state, and local agencies that affect these ministries. The National Association of Episcopal Schools, an independently incorporated, non-profit, voluntary-membership organization, supports and serves the vital work and ministry of those who serve Episcopal preschools and schools, school start-up committees, and regional and diocesan Episcopal schools associations throughout the Episcopal Church. As part of its mission and ministry, NAES interprets, represents, and advocates for Episcopal schools in the education and government communities and the wider Church. The Friends Council on Education nurtures the spiritual life of Friends schools, strengthens the connections between the schools, and serves as the national voice of Quaker education. Friends Council provides consultations, publications, programs, professional development, and peer networks to promote the Quaker philosophy of education and enrich Quaker testimonies in school life. 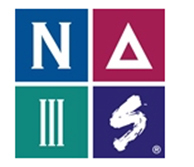 The National Association of Independent Schools (NAIS), a voluntary non-profit membership association, is the national advocate for independent elementary and secondary schools in the United States and abroad. NAIS member schools are non-profit, tax-exempt organizations that maintain fiscal independence from tax or church monies. They practice nondiscriminatory policies, are approved by a recognized evaluation process, and are independently governed by boards of trustees. The Council of Islamic Schools in North America is an association of Islamic schools and educational organizations working to improve Islamic schools through accreditation, consultation, and professional development; advocating for Islamic education; and fostering professional relationships with educational institutions and agencies relevant to Islamic education. CISNA aspires be a leading and unifying organization striving for the advancement of Islamic schools and Islamic education respectively. Its goals are to promote Islamic schools and Islamic education on a global level; provide accreditation services; provide professional development at a global level; foster professional relationships among Islamic schools and other organizations; and provide consulting services relevant to Islamic education. Agudath Israel of America, founded in 1922, is a broadly based organization with chapters in major communities throughout the United States and Canada. It sponsors a broad range of constructive projects in the fields of education, children's welfare, and social action affecting the lives of young and old in far-flung parts of the Americas, Israel, Europe, and elsewhere. Its responsibilities include representing and promoting the interests of the Orthodox yeshivos and day schools across the country. ELCA congregations serve children through early childhood education programs, elementary and secondary schools. The Department for Schools affirms, serves and encourages these ministries which serve children and their families. Teaching in a Lutheran school adds the extra dimension of learning and living in a Christian context. Teachers in Lutheran schools across the country and around the world are some of the finest you'll find anywhere. Quality programs are provided by these teachers so students reach their full potential intellectually, emotional and physically. They and their students also develop and renew themselves through prayer, worship and supportive relationships. If the idea of a vocation that blends your faith into your daily life appeals to you, there is a great opportunity awaiting you as a teacher in Lutheran school. In grateful response to God's grace and empowered by the Holy Spirit through Word and Sacraments, the mission of The Lutheran Church-Missouri Synod is to vigorously make known the love of Christ by Word and deed within our churches, communities, and the world. The department of School Ministry assists, equips and uplifts Lutheran School educators, district staff, especially education executives and congregation leaders, so that through them children may be equipped as disciples of Jesus. According to the LCMS by-laws, "the most effective education agencies available to the church for equipping children and youth for ministry are the full-time Lutheran elementary and secondary schools. Wisconsin Evangelical Lutheran Synod Schools exist to educate children, strengthen families, and serve the church with the power of teaching that is deeply rooted in the Bible and fully expresses the love of Jesus. The WELS Commission on Parish Schools exists to guide and assist WELS congregations in advancing the Gospel of Jesus by providing reousrces, training, and personal assistance for starting and strengthening Lutheran schools. Since its formation in 1960, the American Montessori Society has been the mainstay of the Montessori movement in the United States. AMS is a non-profit, non-discriminatory service organization committed to promoting quality Montessori education for all children from birth to 18 years of age. "Montessori" is a developmentally appropriate approach to learning, originally designed by Dr. Maria Montessori early in this century. Its successful application with children from families of all social strata and special needs continues to attract widespread interest and support. To maintain effective fiscal and organizational strength. The National Christian School Association is an educational association of more than 120 secondary schools in 30 states serving more than 40,000 students. Most NCSA schools are independent, governed by a self-perpetuating board. A few are a ministry of a particular congregation, children's home or university. All the schools have a strong relationship with the churches of Christ. Students of all faiths are welcome at member schools of the National Christian School Association. The Oral Roberts University Educational Fellowship (ORUEF) is a professional service organization that provides networking opportunities and support services for Charismatically open Christian preschools, elementary/secondary schools, and Bible schools. ORUEF is a vital component in collaborating with the Oral Roberts University to fulfill its goals. With a network of schools that serve more than 36,000 K-12 students in the United States, ORUEF "seeks to instill within member schools an enthusiasm to be responsible and reputable leaders in the field of education—professionally, academically, and spiritually." Another goal is to help Christian schools become stronger while increasing camaraderie among Christian school leaders, teachers, and staff. The many services that ORUEF provides member schools include "a National Christian Honor Student Association, legal referral, assistance in curriculum development, new school seminars, and the National Christian High School Finals Competition. Each May ORUEF sponsors on the ORU campus, a national Christian high school competition with approximately 1,500 students competing in over 140 events, including art, music, drama, speech, debate, academics, athletics, and cheerleading." The Association of Christian Schools International (ACSI) is dedicated to strengthening Christian schools and equipping Christian educators. ACSI provides support functions for nearly 24,000 Protestant schools in over 100 countries. Christian Schools International is a dynamic and growing community of Christian day schools and affiliated institutions which share a Reformed, Christian perspective. Our mission is to advance Christian education and to support schools in their task of teaching students to know God and his world and to glorify him through obedient service. CSI serves over 475 schools, with a combined enrollment of over 100,000 students, and has been doing so since 1920. The Seventh-day Adventist Church in North America operates a system of elementary and secondary education that began in 1872. The unique philosophy of Christian education of the Church is based on the Scriptures and the writings of Ellen G. White. All children and youth have been entrusted by the Church to the education system for spiritual nurture and educational excellence. The primary aim of Seventh-day Adventist education is to provide opportunity for students to accept Christ as their Savior, to allow the Holy Spirit to transform their lives, and to fulfill the commission of preaching the gospel to all the world. The Association of Waldorf Schools of North America (AWSNA) is an association of independent Waldorf schools and Waldorf teacher education institutes. AWSNA's mission is to encourage and further Waldorf education, and to assist each school and teacher training center linked through it in the United States, Canada and Mexico to improve the quality of the education it offers. Waldorf Education is a developmentally appropriate, balanced education that integrates the arts and academics for children from preschool through twelfth grade. Waldorf Education encourages the development of each child's sense of truth, beauty, and goodness; an antidote to violence, alienation, and cynicism. The aim of the education is to fully develop the capacities of each student and to inspire a love for lifelong learning.